To build an Android app that resonates, you need a team of platform experts: A team that has an extensive knowledge of Android-specific requirements, Google Play Store standards and a passionate understanding of the vast array of Android-compatible hardware. 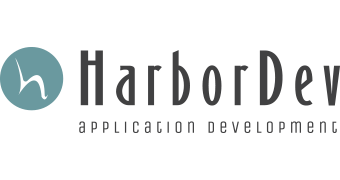 At HarborDev, our Android developers have a rigorous knowledge of Android’s rich application framework, Android APIs, and of course, they write Java with the precise instincts that you would expect from a top-tier mobile app development company. The Android OS has held the dominant smartphone platform market share since 2010. If you’re considering developing an application for Android, you can expect to have the widest audience reach of any mobile platform – but you’ll also encounter the most fragmentation. Our Android developers keep up with mobile trends and version statistics, so we know just how to handle the wide version and device distribution hurdles that the Android platform is known for. Our Android developers and designers know where the Android platform’s strengths and weaknesses are, and apply their talents to create beautiful, highly functional apps that Android users love. Google certainly provides a standard of “best practices” for Android applications regarding user interface design, user input, performance and security, but given the generally open acceptance policy of the Google Play Store, not all developers consider such high-level usability standards important. Our Android team applies those standards to every app they create, so we’re not just building Android apps… We’re building great Android Apps. If you have an idea for an Android app, whether it’s meant for the enterprise or the consumer, our expert team is here to answer any questions you may have. Get in touch to consult with us today.